Normally I'm a baked macaroni and cheese fan - the crunchy breadcrumb topping with gooey, cheesy insides almost always wins. However, Alton Brown just gave me another option. Stove-top mac and cheese is quick and easy but the boxed stuff isn't good (unless you're my husband who loves the blue box stuff for some unknown reason) and its full of chemicals. You can make this recipe just as fast but you'll be oh so much happier. 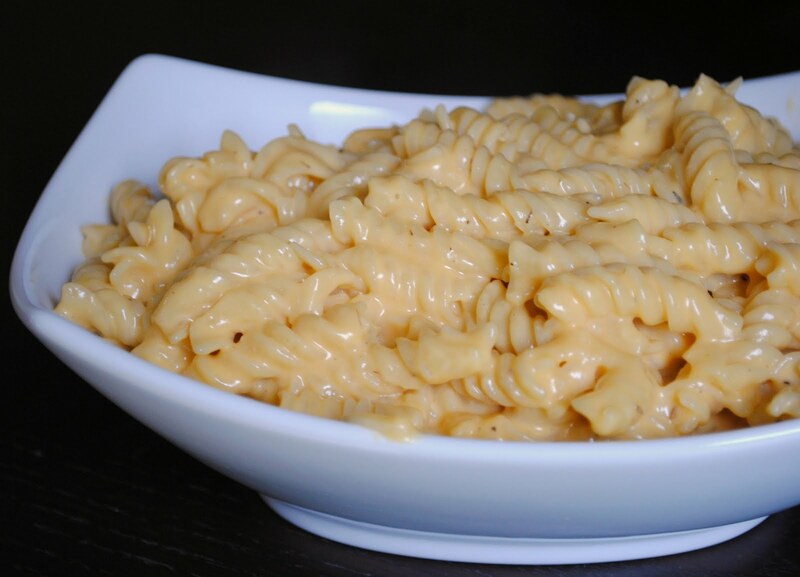 The evaporated milk makes it super creamy and using sharp cheddar gives you a better than the box taste. It also reheats well for a leftover lunch. 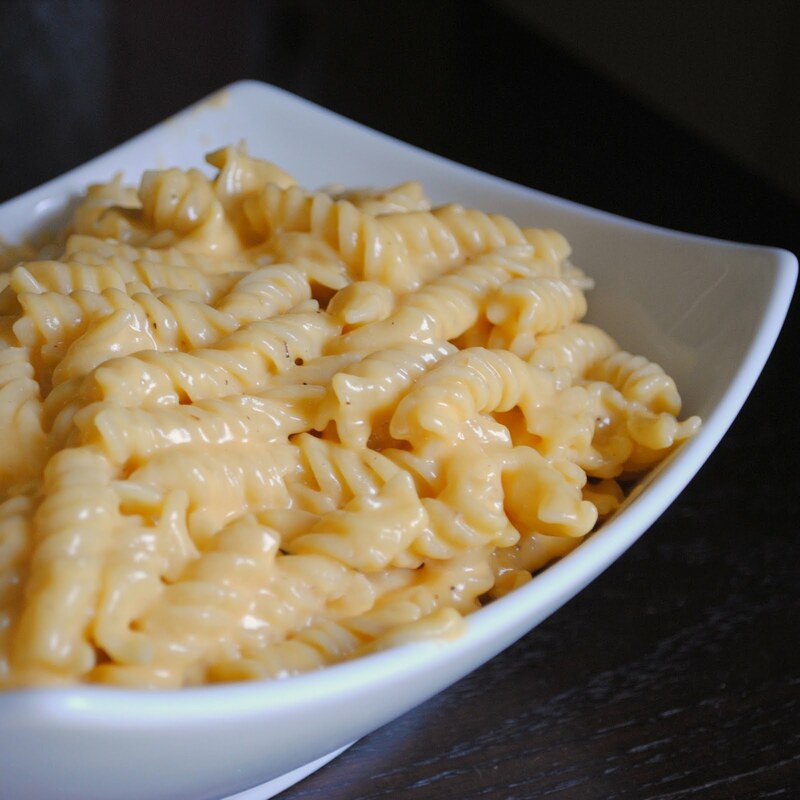 I modified the original recipe a little bit by using fat free evaporated milk, reducing the butter slightly, using whole wheat noodles and adding some thyme. I used rotini because I had it on hand, use elbows or shells or whatever you prefer or keep in the pantry. Heat a large pot of water to boiling, salt liberally and add pasta. Cook to al dente per package directions and drain. Reduce heat to medium low, return to pan and add butter. Melt and stir to coat pasta. Whisk together eggs, milk, hot sauce, mustard, thyme, salt and pepper and pour over pasta. Stir and cook about one minute. Add cheese and stir to melt and incorporate, cook about two minutes, add additional salt and pepper if desired and serve. 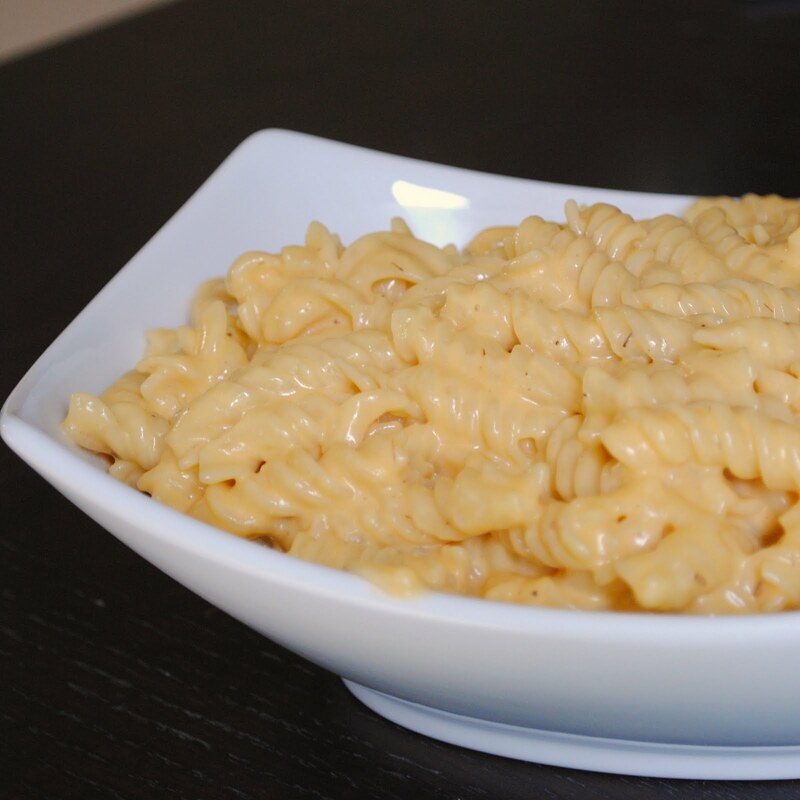 This is the best recipe for stove top mac-n-cheese! I have thought about using fat free evaporated milk whenever I make it, but I wasn't sure if it would effect the taste/texture to much. But now that I know you have had success with it, I will give it a try next time! I've done this recipe quite a few times now and it's amazing! My only question is how do you reheat it? The microwave just doesn't work.